Do you need funds for a research project or to attend a conference abroad? 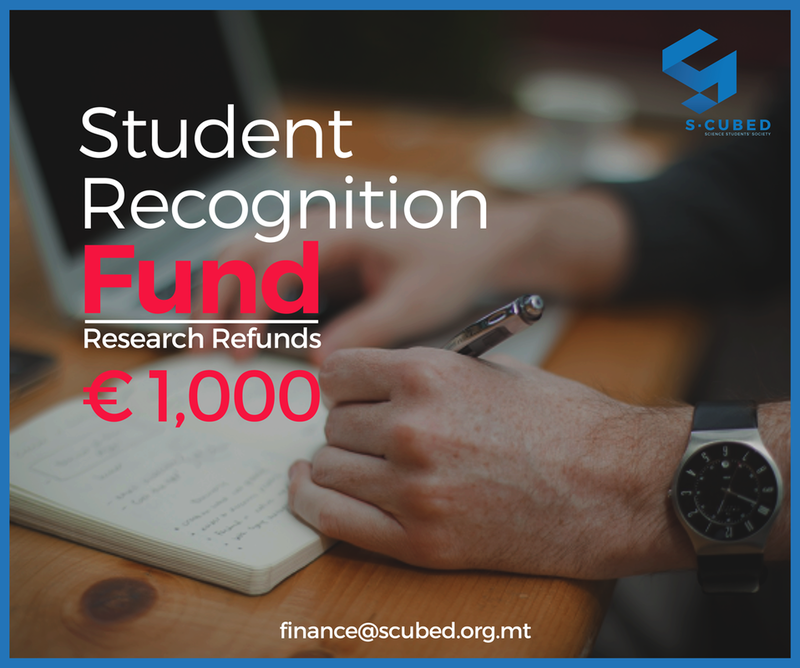 S-Cubed proudly presents the Student Recognition Fund, for which a total of 1000 euro have been allocated! This will be on a refund basis, upon presentation of proof of purchase. Other terms and conditions apply. To apply, you must fill in the form below and hand it (in person or by email) to our Financial Controller. The deadline is 30th April 2016. S-Cubed also plans to issue other funds in the future, some which might be of subsidiary nature rather than on a refund basis. If you have any queries, please direct them to our Financial Controller Kirsten Ablea on to finance@scubed.org.mt.